Watch Dogs 2 is fixing a lot of the issues you probably had with the original Watch Dogs, for better or for worse. Remember Aiden Pearce, the self-righteous do-gooder with the same personality as a cardboard box? Probably not. If anything, he’s probably a vague memory I just happened to summon into the front of your mind by typing this. There are no Aidens in Watch Dogs 2. Watch Dogs 2 is bigger, brighter, and much more cohesive, with a cast of characters who have much more personality. Watch Dogs 2 has a lighter, more scrappy tone than its predecessor. Its characters are younger, issues more relatable, and there’s an ‘us versus the elite’ dynamic between them and the main antagonist that feels all too believable in our current political climate. Everything about the plucky young heroes feels homespun, from the zippy RC cars used for reconnaissance to the sticker-covered drones used to pinpoint and hack from above. Even their hideout--a warehouse filled with arcade machines, wall murals, and loose equipment--is haphazard and patchwork, the ultimate hangout den for a group of chill kids. As much as the characters are at least entertaining and memorable, they tend to err on the side of insufferable, often coming across like the millennials so many curmudgeonly headlines seem to bemoan. They’re equally as self-righteous, with a bit of snivelly self-inflation. All of them constantly complain about corporations, referring to 1984 and other books probably read in their freshman year English class as ‘warning signs’ people should have paid better attention to. They guzzle energy drinks and coffee and are always coding, tinkering, or somehow obtaining information using tech they probably shouldn’t have. Their worth is measured in the number of followers they amass after every mission. I love that they at least have some sort of dynamic that isn’t brooding or depressing like Aiden, but it feels like a hard swing from one extreme to the other, swapping nuance and complexity for caricatures of California twentysomethings. Granted, my time with the demo totaled about an hour and a half. There’s a chance I don’t have the full context, and I’m happy to lend them the benefit of the doubt and wait for the final release before passing final judgement. 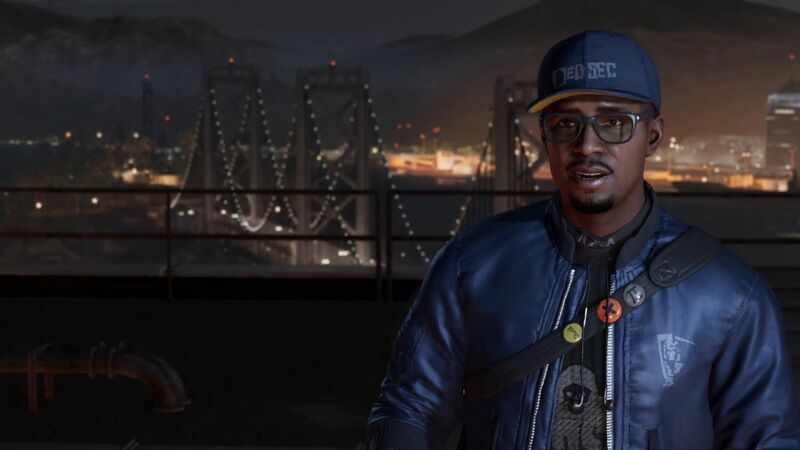 Especially because the characters aren’t the only major change in Watch Dogs 2. 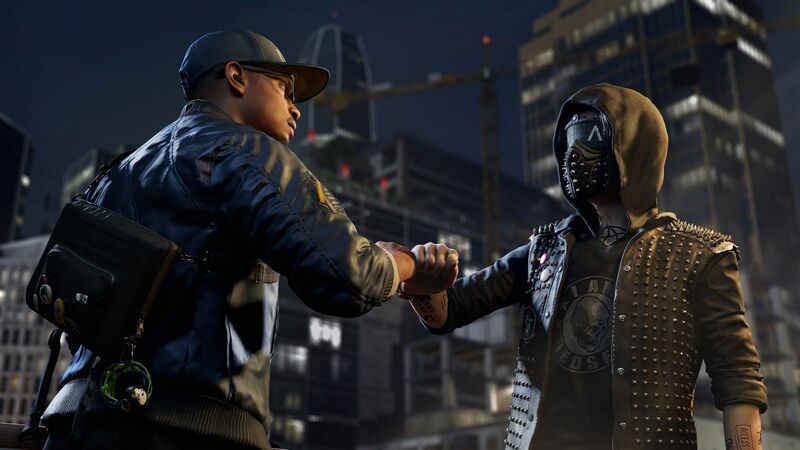 Awkward characters aside, Watch Dogs 2 appears to be taking every complaint from the first one and addressing it head-on in multiple ways. Hacking is more than a button press used to evoke a set number of responses from items or people; now, practically every hacking opportunity has at least four different options for use; some distract, while others hack into personal conversations or place markers on people with gangs. There are even cases where the authorities can be called on people who have hidden criminal actions. Cars can be remotely hacked and steered in multiple directions, and a quick tap of a button will cause a phone to beep and temporarily occupy the target’s attention while you maneuver Marcus into a better position to infiltrate. There’s even options for mass hacks capable of big actions like causing several cars in an area to go haywire in order to slow down anyone pursuing you as you drive the streets of San Francisco. It feels like a bigger, better realization of what Watch Dogs originally aspired to. Rather than simple tasks, there’s depth to every action Marcus can take, and the stealth is made all the better for it. Every action complements well with others, and the result is a wide-open playground with a million satisfying variables with which to work. There’s also a system of upgrades and improvements Marcus can make on himself, including learning new fighting techniques or unlocking new hacking abilities to use in stealth and combat. It allows for better customization and gives the player a bit more freedom to select how they would like their character to be built up, further granting options in the core game. Way more than its predecessor, I felt like I had the entirety of the city at my fingertips, ready to bend to my will. As much as it attempts to tie everything back to its setting in the Bay Area, this is still an open world game that very much adheres to the open-world template we’ve grown to expect. 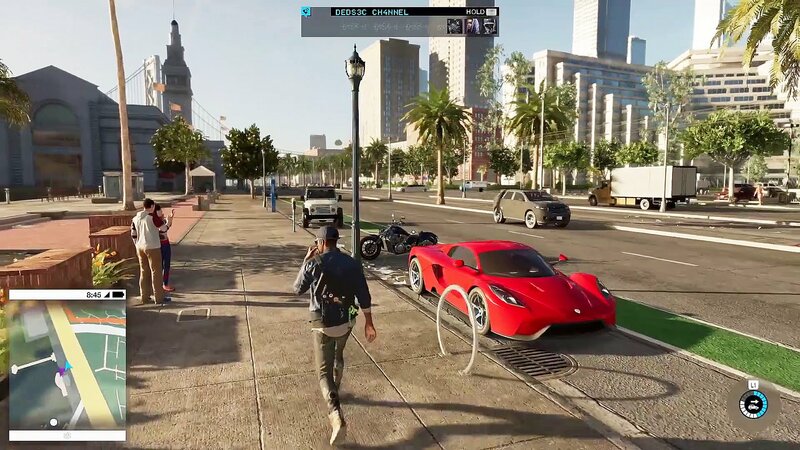 Marcus’ phone allows him access to little side quests and missions like driving people around the city, taking selfies around popular locations, and keeping in touch with his friends. There are also multiple side activities to participate in, like racing and other challenges that yield things like followers and other collectibles that can be used to purchase upgrades and improve Marcus’ skill. Cars can be stolen, people freak out if you pull out a weapon around them, and the radio blasts modern music as you cruise around the streets. All of the trappings are here, and it’s almost disappointing that it’s exactly what one might expect to see in an open world. Regardless, a lot of care and detail has been put into this world. The Embarcadero feels just as tourist-y and cheerful as it does in real life, the city teems with activity and excitement, filled with people and plants that give it a fresh, swanky feel. Graffiti decorates buildings, and there’s enough quirk and charm left intact to make Watch Dogs 2’s take on San Francisco feel refreshingly real and alive. Hopefully this all meshes together to realize the dreams of the original Watch Dogs when it releases on November 15. This preview was based on a pre-release PS4 demo of the game at an event hosted by Ubisoft.